Claire Healy & Sean Cordeiro, Lifespan, Installation, 2009. 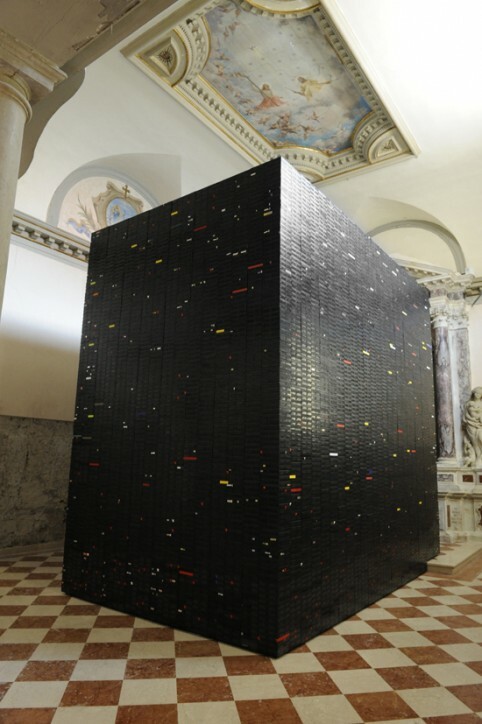 175, 218 VHS video cassettes are arranged to form a solid block in the deconsecrated chapel of a former nunnery. The combined running time of these cassettes, if played consecutively, would be 60.1 years, the average human life span in 1976 – the year that the VHS was released.